On the road or away from a water source? 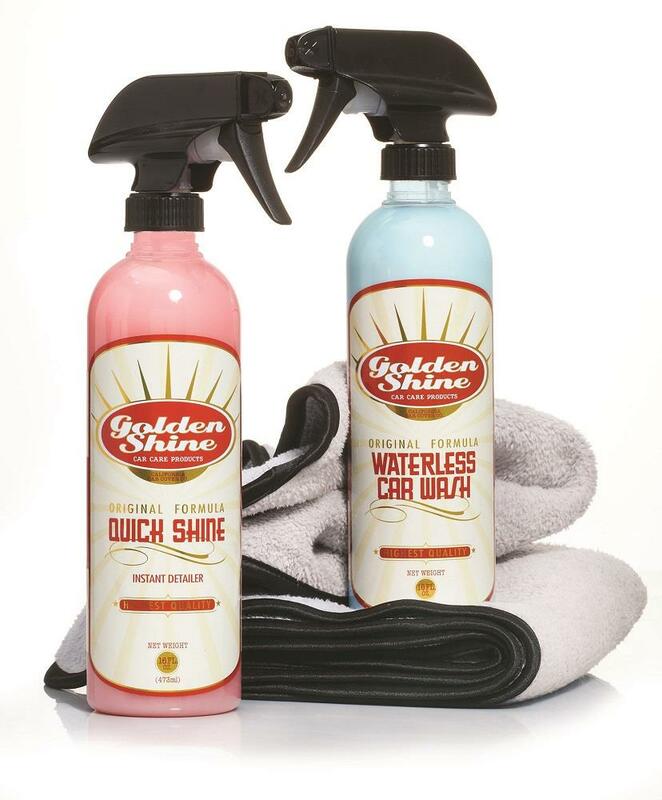 You can still take pride in your ride with this nifty Golden Shine Waterless Car Wash kit. Start with the Waterless Wash to grab hold of and remove displeasing dust particles, film and road grime with a quick spray, wipe and buff. The kit also includes the Quick Shine Instant Detailer – just spritz it on and wipe for a just-waxed look finish the job! You get three incredibly plush Quick Shine Detailing towels to maximize the results of your waterless detailing experience. They're the safest and softest way to clean your vehicle between washes for a streak-free shine without the threat of scratching. Bundled for a savings of over 20%!